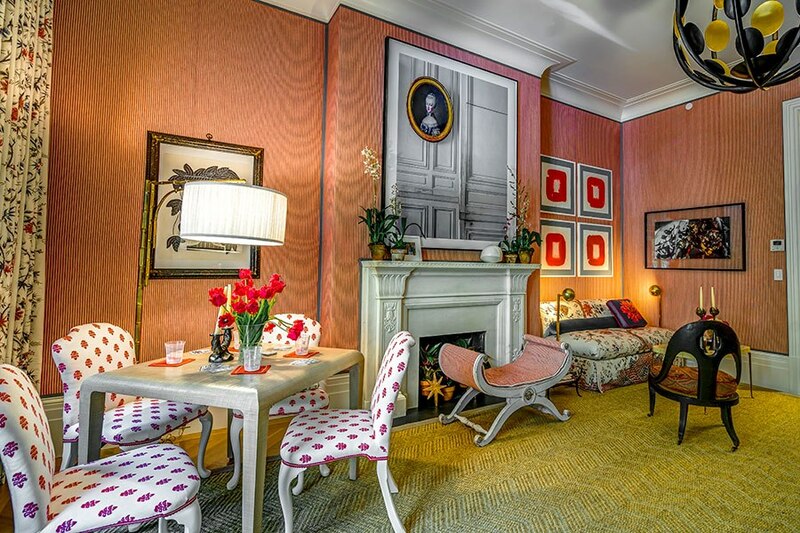 Bold and glamorous color, wallcoverings, lush textiles and mixed patterns run a common thread through the annual Kips Bay Decorator Show House offerings. A true winner at showcasing the creative talents of top designers to benefit the Kips Bay Boys & Girls Club. 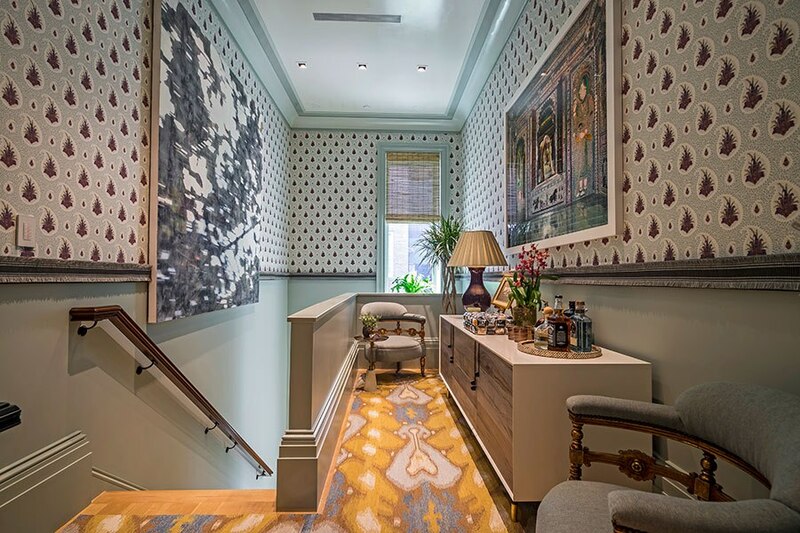 Study each space, examine the layers of design and the magnificent attention to detail and leave this post truly inspired enough to tackle your own design project. 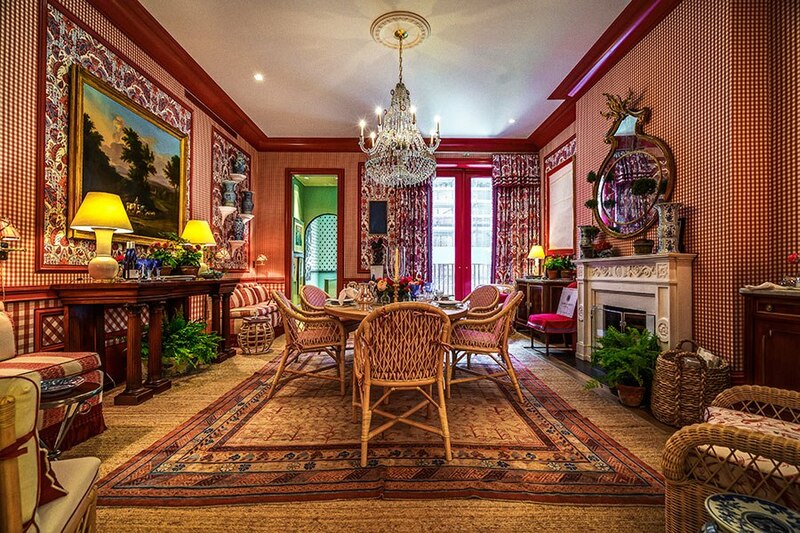 Italian inspired romantic dining room boasts red gingham and rattan from designer Mark D. Sikes Soane Collection. 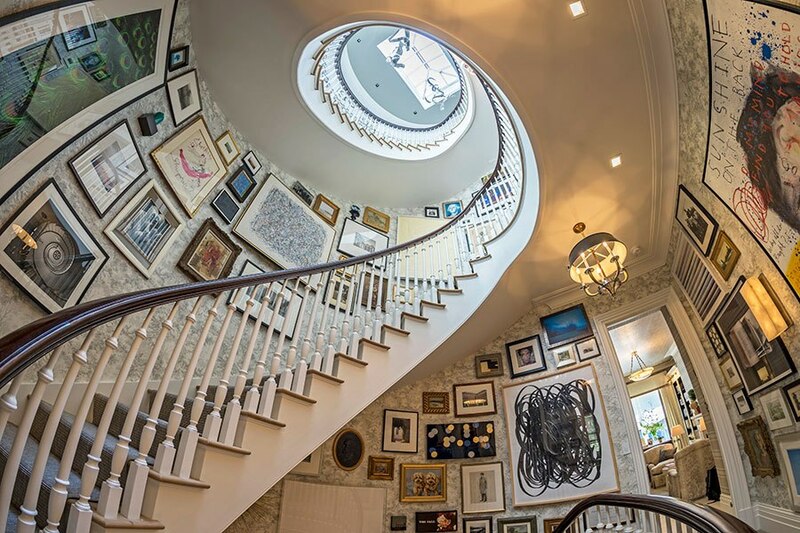 Elliptical stairwell transformed into an art gallery showcasing nearly 300 works of art from fine art to flea market finds. Beautiful blend of neutrals create a restful retreat. Metallic paper on ceiling, upholstered walls add glamour to this bedroom. Striped voile on the walls and original stone mantel bring timeless and classic appeal to this living room. 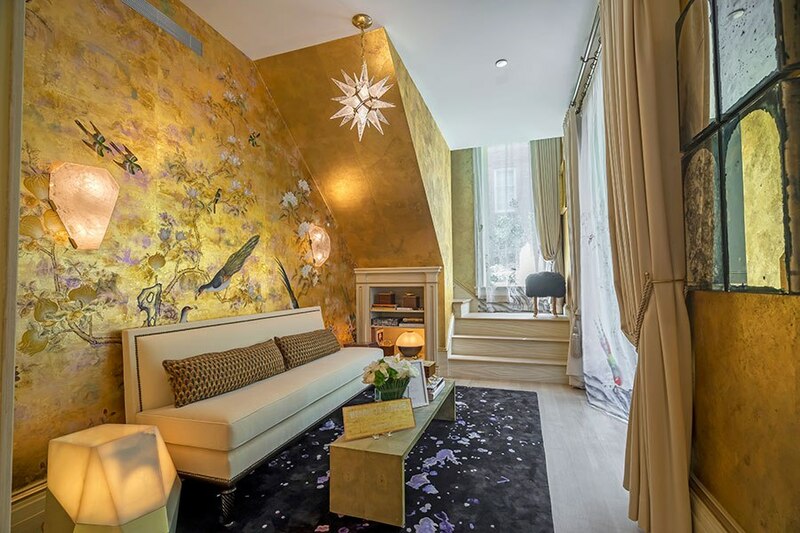 Modern lounge showcases Japanese style wallpaper, custom-made silk carpet and rock-crystal pendant lighting. 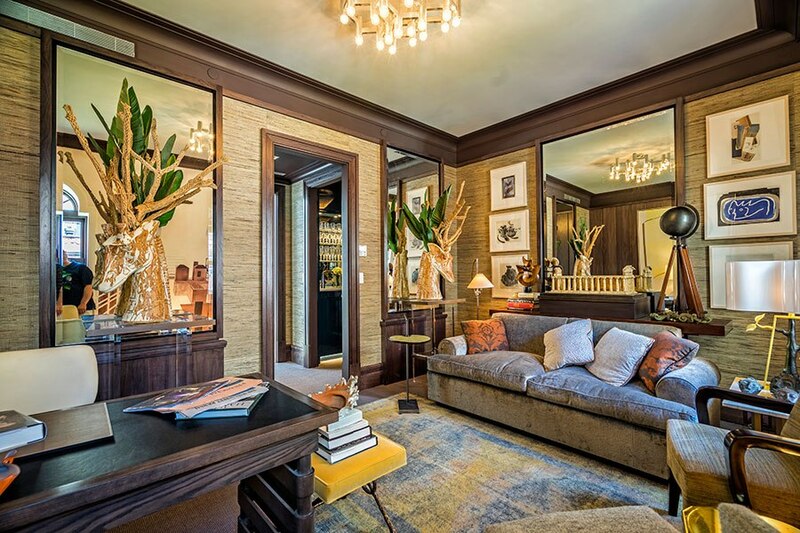 Sophisticated, rugged and relaxed retreat with walnut trim and Kravet grass-cloth walls. 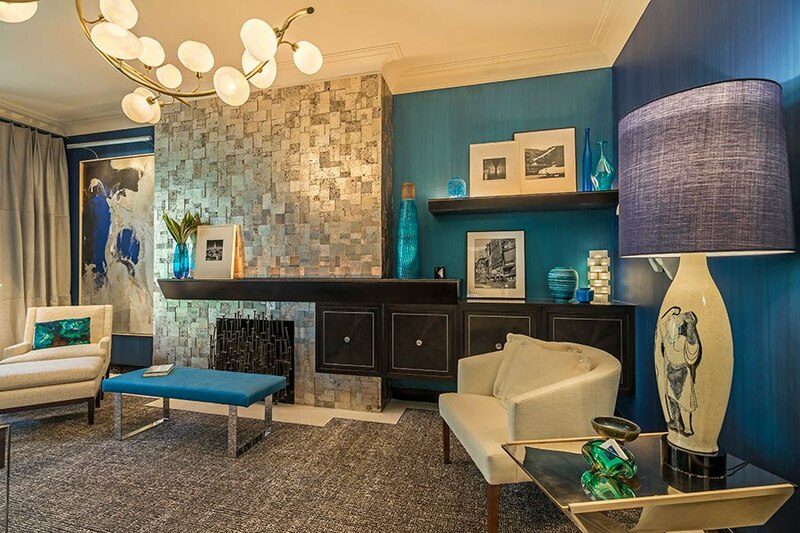 Silvered travertine brings focus to this modern lounge with ocean-blue walls. 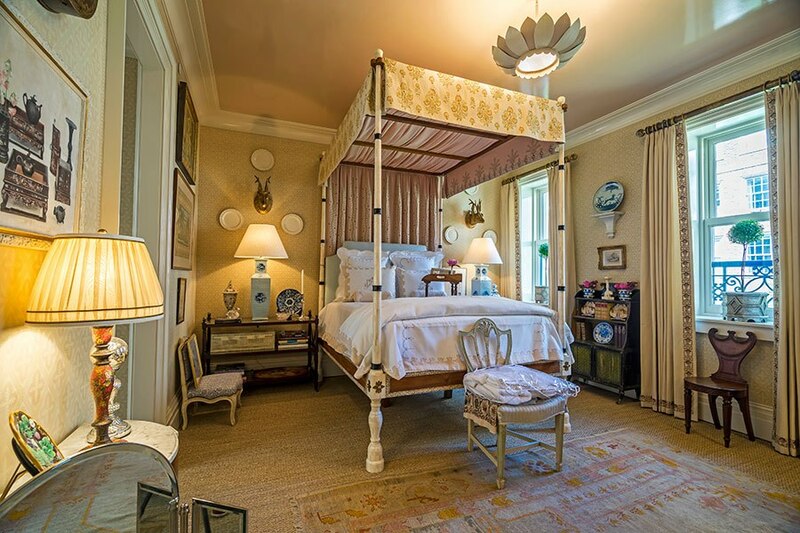 Bone-inlaid canopy bed, hand-blocked wallpaper and custom embroidered panels set this exquisite room apart. 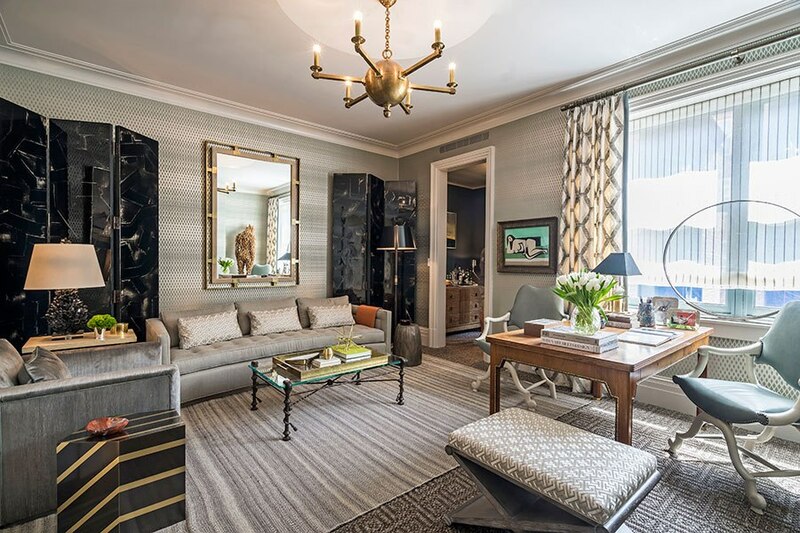 Silvery and black tones give this study a calming effect with neutral, rich patterns. Small lounge finished in a Moghul-mod inspired theme with wallpapered walls. Neutral palette showcases custom blue cabinetry, Tiger marble floor tiles, Carrara-marble wainscot and a faux grass-cloth wall covering. 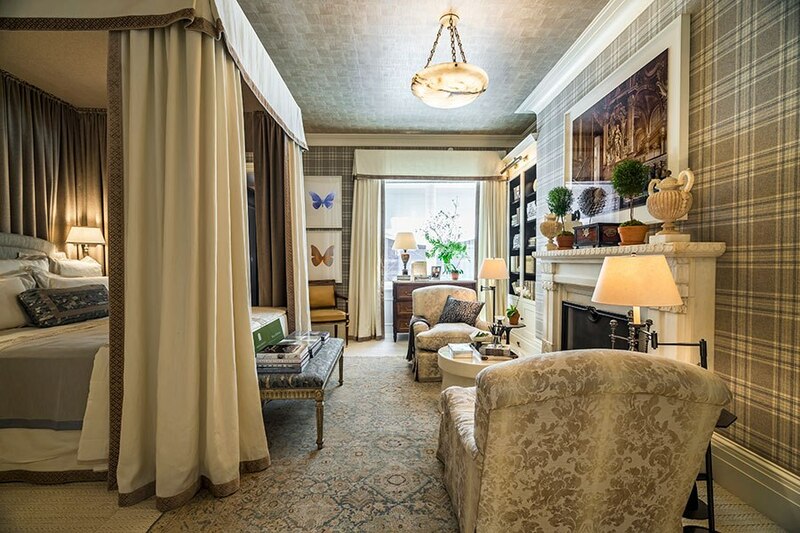 Well done 2015 Kips Bay Decorator Show House team of talented designers! You have inspired the world and for a great cause, the Kips Bay Boys and Girls Club. 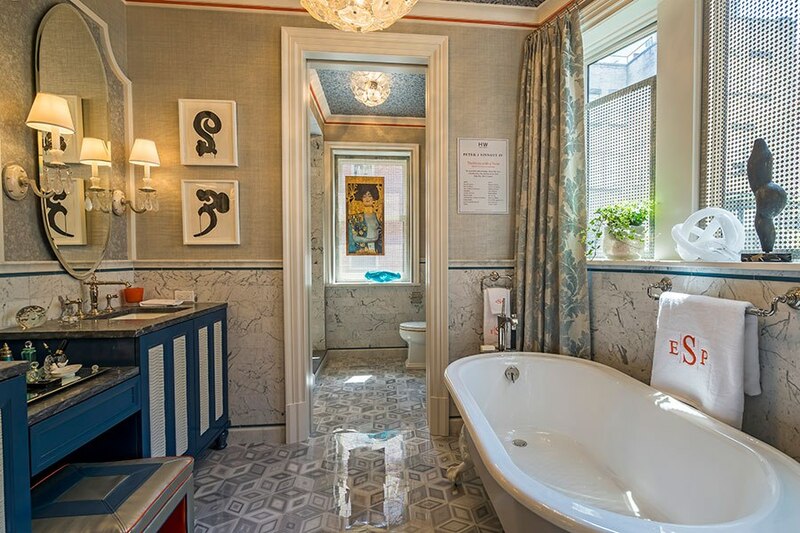 To view the entire showcase please visit Architectural Digest. Thank you for your comment. I must ask if your carpeted bedrooms are visible from the home office? Secondly, I believe it is a great idea to replace the old carpet with hardwood flooring for an updated look. The choice of finish depends on your response to my question. The best option may be to include the office in your flooring update!